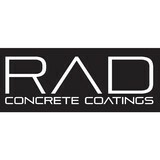 We are construction company that specializes in concrete and paint coatings in industrial modern design. Our services include general contracting, interior design and furniture wholesale, commercial and residential design and buildouts, interior concrete coatings and prep, garage floors, deck coatings, house painting, kitchen and bath remodeling, exterior paint and concrete coatings, rainscreen cladding. Nite Scapes specializes in creating an amazing outdoor space for you! 1. Nite Scapes is one of the first companies in Utah offering RGB decorative lighting. RGB lights are the last lights you will need for your home. Decorate for any holiday, get together or barbecue. You will be amazed at the simplicity of use and the unlimited color options and patterns available. Nite Scapes also specializes in landscape lighting and holiday lighting. We can help you design and implement anything that you want in your yard. 2. Nite Scapes specialize in pavers and hardscapes. We have designed and installed many fire pits and patios. We enjoy helping people transform their yards into fun outdoor living spaces. 3. Nite Scapes also offers full service landscaping. From decks, to water features, outdoor cooking areas, and more. We can help you with the design and installation process from beginning to end. We know that working with unreliable contractors can be a painful experience. See how enjoyable it can be working with a contractor who listens and makes your dream project turn out perfect the first time. Formerly known as Rose Concrete Coatings, we are a Professional Coating and Staining Contractor specializing in Garage Floor Coatings, Concrete Acid Staining, Waterproof Deck Coatings, Concrete Sealing, Polishing, and Overlays. There are countless ways to do a job. What matters most is that it’s done right. The best way to show potential customers how good we are is by showing what we’ve already done. Have a look at our project galleries. We have products for every taste and budget. From simple and sleek to flashy and elegant our broad range of coatings and finishes allows us to do almost anything you can think up. Browse our gallery to see. We serve Commercial, Residential, and Industrial customers. We serve the entire state of Utah. We are featured in the Salt Lake, Utah County, Davis County, St. George, and Park City Parades of Homes every year. When you're looking for a concrete contractor, you can't risk your residential or commercial property on an inexperienced or unreliable outfit. T & R Concrete Repair and Design has been providing northern Utah homes and businesses with stamped concrete, overlays, excavation, resurfacing services and more for over 10 years. Contact T & R Concrete Repair and Design today. We'll make a lasting impression on your old or new concrete. JNR Concrete LLC is a professional concrete contractor located in Bluffdale, Utah and serving the Greater Salt Lake Area. We approach every project with care and detail to ensure the end result is a fantastic product. We take pride in what we do so you can take pride in your new concrete addition. We specialize in stamped and stained concrete and have the expertise to complete any of your concrete needs. Take a look at some of the services we offer below and let us know if we can help you! Homes are one of our biggest investments. JNR is a licensed, skilled, professional concrete company able to perform all new and existing home concrete construction needs. Enhance your existing home by increasing the property value with a new patio or RV Pad of your dreams. Retaining walls and steps can be added to help increase space and add depth to your property. No jobs is too big or too small. We are Masonry Company out of Orem, Utah. We are proficient in Brickwork, Blockwork, Stonework, Fireplace/pizza ovens, and Masonry restoration. With a combined experience of over 40 yrs, All Seasons Masonry LLC. has all the experience, and equipment to get your project completed correctly, and on schedule. We strive for outstanding response, and lead time. We enjoy residential, and small commercial work As it allows us to get to know our clients, and their needs, and tailor make each project accordingly. Stone Touch is a Utah based family business that traces it’s roots back three generations. We began life in Dallas, Texas in the early 1950’s as the Tolman Flooring Company. Tolman Flooring installed carpeting, wood floors, and stained concrete floors. In the 1970’s Earl Snow joined the business. It was renamed Tolman-Snow Concrete Staining, and the acid staining became the focus of the business. In mid 1995 Steve Schmid joined the business and Stone Touch was born. Together, Tolman-Snow and Stone Touch have produced a wide range of custom concrete floors for satisfied clients across 36 states and 4 countries. Our work can be seen in both printed and broadcast media. We have consulted with top architects and designers nationwide, and we will handle your project with equal care. Blackdog Stone & Landscaping specializes in stonework, landscape design and landscape installation. As both a landscape and stone masonry contractor, we're able to design and build a variety of indoor and outdoor spaces that blend functionality, beauty and sustainability. We're able to build a variety of features; from flagstone patios to completely landscaped outdoor living areas, from interior fireplaces to exterior veneers, from stone pillars to boulder retaining walls and much more. Serving commercial and residential customers throughout Utah. Providing custom stonework and landscaping in Summit County, Wasatch County and Salt Lake County. Blackdog Stone, LLC is part of Blackdog Builders, Inc.
Beautifying Concrete in and out of homes all over Utah. We specialize in Concrete flooring. Whether you want stained or dyed concrete or epoxy flooring, we are the professionals you want on your project. We are Utah’s number one concrete contractor. We offer any kind of concrete service you might need. We are locally owned and operated. With over 20 years of experience. NPW Stone is a third generation stone masonry company dedicated to quality and exceptional customer service. Our services include: natural stone exteriors, remodels, landscape masonry, flagstone patios, dry stack walls and stone steps. Utah’s Leading Concrete Contractor. We specialize in decorative concrete coatings, epoxy flooring and industrial coatings. With over 20 years of experience we are proud to call ourselves the leading concrete contractor in the state of Utah. Founded in 1993, Concrete Design Systems, has been one of Utah’s innovative leaders in the concrete design & concrete repair industry for almost 3 decades. Our concrete designs have evolved with the times over the last 22+ years and we have been in front of the curve and set the bar high since our inception. Whether we’ve stamped a patio, pool deck, front entry, balcony, driveway, or any other concrete surface,we have a wide variety of decorative and functional projects that we have completed. Concrete Design Systems will work with you to design that beautiful living space that will last for years and years and require very little maintenance. CDS’s attention to detail has resulted in countless satisfied costumers over the years. If your concrete is in poor condition and beyond salvage, we will remove and replace it, adding a beautiful and aesthetic value to your home or business immediately. Whether it’s a newly designed front entrance or patio, our professional concrete team will design your concrete to stand out above all the others and be a perfect fit just for you. Have a boring garage floor? We will design a high end, durable and beautiful polyaspartic floor that will last for years. Concrete Design Systems clients are known to have the most beautiful concrete throughout Utah. So learn about us at Concrete Design Systems when you need a concrete contractor, Utah residents, and give us a call at (801)376-5143 or (435)275-1660 or toll free (800)465-0135 to set up your free Design Estimate. Elite Hardscapes is a detail focused company specializing in outdoor living elements and interlocking pavers. Our main focus has been to, first become masters of our craft and second treat every customer as family Elite Hardscapes is the first company in Utah that has been recognized by Belgard, as Master Craftsmen and our work has been featured on the cover of their North American catalog the last two years. We pride ourselves in providing an excellent experience, professional installation and a product that will last a lifetime. Let us show you what makes us the best! C&R Stoneworld Inc. is Utah's leading distributor of natural stone. The company started over 20 years ago, and has been installing and distributing natural stone ever since. Natural stone withstands the test of time; as well as makes a unique, one-of-a-kind statement that cannot be achieved any other way. For the most part, people hire a stone or concrete contractor for large installations like driveways and walkways, or for home facades and exterior columns. These brick, pavers or stonework installations can add lots of functionality and visual curb appeal to your Utah home. Pavers come in a wide variety of colors, shapes and sizes, and the right vendor or specialist can help you choose a color and design that complements your existing landscaping. From installing new exterior columns to repairing your chimney, masonry contractors can help you add both visual appeal and value to your property. They’ll know what kind of installation makes the most sense for your Salt Lake City, UT climate and regional style. Looking for something that will develop a patina with time? Or would you rather have your home feel brand new for years to come? Choosing the right kind of stone involves thinking about the future, too. Experienced brick suppliers and stone suppliers can help you find the material that will work for your home now and for years to come. These professionals aren’t limited to exterior work either. Whether you want a split-stone granite wall in the kitchen or need help installing traditional brick masonry on your fireplace facade, you’ll want a professional to get it right. If you’re already working with an architect or designer, he or she may be able to suggest a good Salt Lake City, UT subcontractor to help out. Here are some related professionals and vendors to complement the work of stone, pavers & concrete: Landscape Architects & Landscape Designers, Architects & Building Designers, Garden & Landscape Supplies, Driveways & Paving, Siding & Exteriors. Find stone, paver and concrete professionals on Houzz. Search the Houzz Professionals section for Salt Lake City, UT stone, paver and concrete professionals. Browse photos and read reviews, and contact a pro if you like their work.